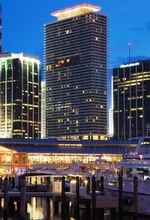 Downtown Miami's 50 Biscayne is a 54 story skyscraper located on Biscayne Boulevard occupying the block between Flagler and NE 1st Street, in what is now referred to as the prestigious Biscayne wall. 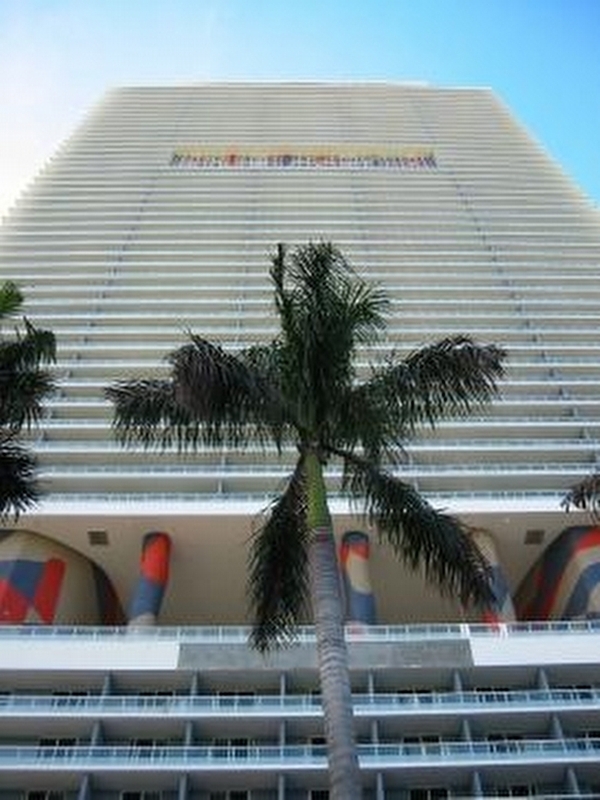 Visible from the MacArthur causeway and Biscayne Bay, the colorful façade of 50 Biscayne is hard to miss with its bright vibrant murals and contemporary columns, directly across the boulevard from the 32 acre Bayfront Park. The convenient Central Business District location is within steps from the American Airlines arena, the Adrienne Arscht Center of the Performing Arts, and Bayside Marketplace. 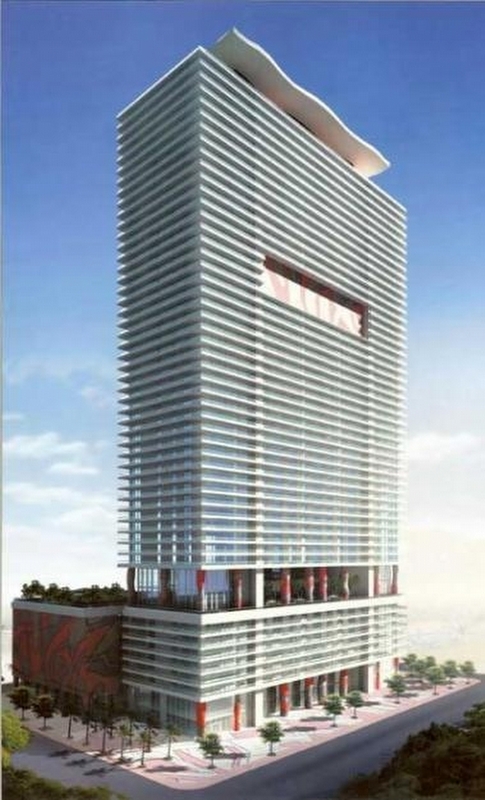 50 Biscayne contains 15,000 square feet of prime retail space and parking on floors one through nine. A tenth floor two level urban oasis features an outdoor landscaped deck, infinity edge swimming pool, daybeds, snack bar, cabana’s and a Club Room complete with billiards, warming kitchen, wet bar, and breathtaking panoramic views over Bayfront Park and Biscayne Bay. The twelfth floor houses the luxurious Spa and fitness Center. The impressive three story lobby, with five high speed elevators, was designed by the renowned Rockwell Group of New York. Spacious interiors feature Dellacasa Italian teak cabinetry, imported absolute black countertops, top of the line appliances, porcelain tile floors, spacious walk in closets and living areas with adjacent large width balconies with glass railings to enjoy some of the finest views Miami has to offer. The residential condominium units occupy floors eleven through fifty five. Stunning penthouses occupy the top two floors. Bay View Park Suite, beautifully designed by the world renowned interior designs of New York's Rockwell Group features floor to ceiling energy efficient windows, high efficiency air conditioning, high-speed internet and Jacuzzi-style tub. Same floor assig ned parking, 24HR concierge, valet, security. Olympic size swimming pool, snack bar, cabanas, 2 level spa & fitness center w/ Massage, Meditation Room & Pilates. The Park Suites can be rented 30 days minimum. HOA includes Cable & Internet. Charming, designer furnished studio in Downtown Miami by Rockwell Group. Direct bay views and same floor parking space. Perfect location, near Arena, Bayside Park, Brickell, shopping, restaurants and clubs. Gorgeous pool with club house and cabanas. State of the art fitness center and full service spa. Unit is rented to a perfect corporate tenant for $1,900/month. High Floor Beautiful Studio at 50 Biscayne. Wonderful Building with All the Amenities at a Fantastic Location. Unit has Gorgeous City Views and Laminate Wood Flooring. Low Maintenance includes Cable Internet and 1 Deeded Parking Space. Beautiful unit in the heart of Downtown Miami. Unit features elegant kitchen and bathroom cabinets, upgraded BOSCH appliances, granite kitchen counter tops, marble bathroom countertops, jacuzzi tub, ample balcony with glass railing. Building offers full resort style amenities; pool, cabanas, sauna, steam room, spa, pilates & yoga rooms, and state-of-the-art fitness center. Enjoy breathtaking views o to Miami and Biscayne Bay from your expansive wrap around balcony. Fully furnished and equipped park suite one bedroom plus DEN professionally decorated. Leases from 30 Days to One Year. Building offers full resort style amenities: pool, cabanas, sauna, steam room, spa, Pilates, yoga rooms and fitness center, formal and informal club house, 24-hr security, valet service, concierge, wireless internet, basic cable & more! Must see it!! This fully furnished and equipped park suite one bedroom plus DEN professionally decorated. Leases from 30 Days to One Year. 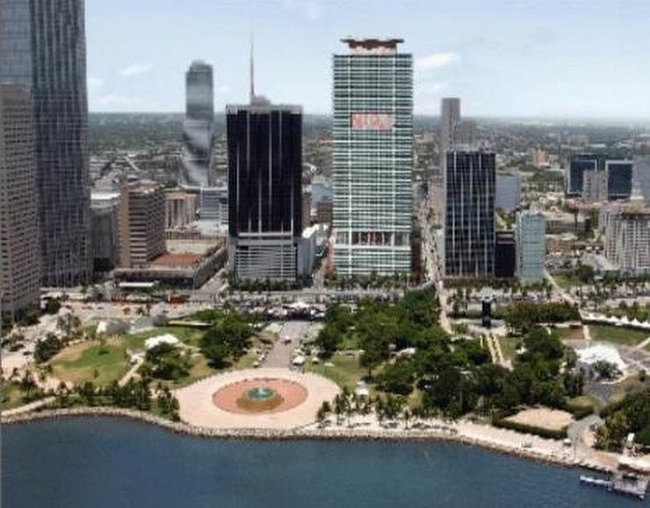 Park Suites are the only furnished units offering direct EAST views of the Bay and Bayfront Park. Amenities include: Gym, Pilates, Spa, Pool, Formal and informal club house, 24-hr security, valet service, concierge, wireless internet, basic cable & more! Also available for rent. This fully upgraded 1 Bedroom plus Den is ready for a new owner! Tile floors throughout including balcony, fully redone bathroom, backsplash in kitchen. Must see. Perfect for investors or end-users. 50 Biscayne is centrally located in Downtown Miami with walking distance to Whole Foods, Met plaza, and the upcoming Miami World Center. Building includes spectacular amenities such as an oversized pool deck, large fitness center, treatment rooms along with steam and sauna, business center and more. Very well managed building and great staff. Will not last. Experience true urban living in downtown Miami's best located building 50 biscayne enjoy great wide open city views from this one plus den 845 square-foot unit priced to sell. Seller is motivated please bring me your offers. Best price in the building for the largest 1 bedroom + Den. Stunning property on the 50th floor with amazing views of the skyline and the sunset. Floor to ceiling glass doors and windows, spacious balcony, Italian kitchen and more. 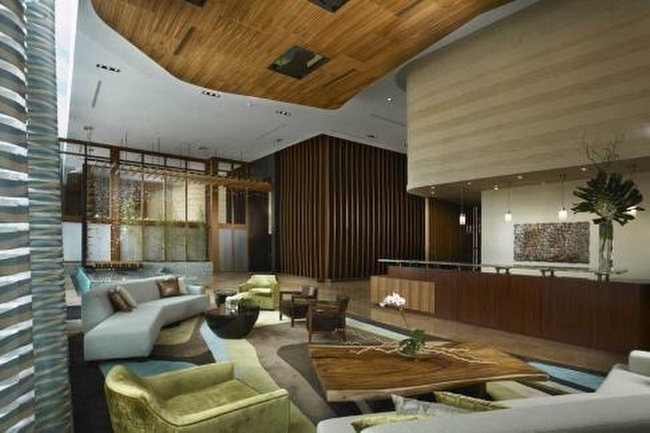 Plenty of amenities in the building such as fitness center, spa, pool, hot tub and more. Excellent location in the heart of downtown accessible to the metro rail, major expressways and the Miami financial center. Call us for a showing! Beautiful one bedroom plus den and one-bathroom condo in the heart of Downton Miami. The unit has laminated floor and tile flooring, modern kitchen cabinets, stainless steel appliances and a balcony to enjoy the city views. 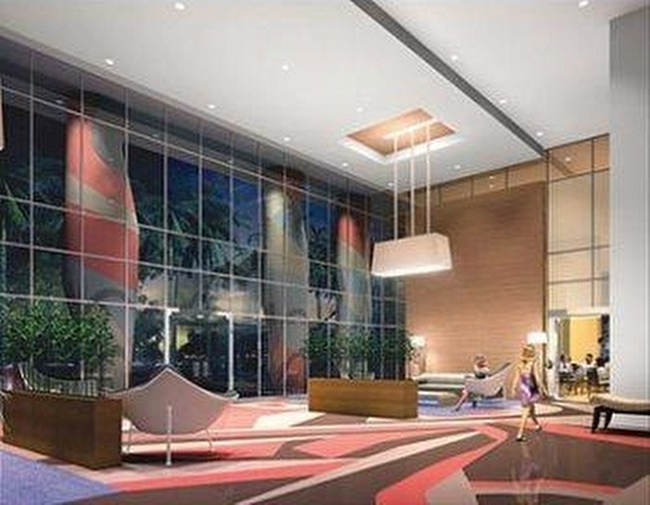 As a resident of 50 Biscayne you'll have access to excellent amenities, including a pool, gym, spa and concierge. The building is centrally located in Downtown Miami, you will be at walking distance from shops, dinning, and the metro mover.A must see!!! Beautiful apartment at the prestigious 50 Biscayne Building. Everything is great at this unit. 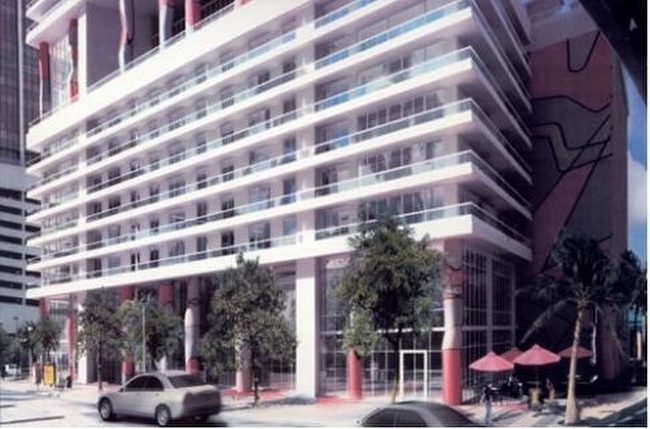 The location of this building is amazing, you will be able to walk to all the great restaurants, attractions, malls, parks and different activities available in down town Miami. The unit is just one block away from a metro mover station, 3 blocks from the American Airlines Arena and the Perez Art Museum. Enjoy all the amenities at this building including one of the best pools in the area, spa, gym, Pilates and many more. Unit is VACANT, ceramic floors, spectacular DEN. One assigned parking space, spectacular city views and window treatment. This is a place where youll want to live. Turnkey, fully furnished and completely remodeled 2 + Den. Direct, unobstructed views of the Biscayne Bay. Marble floors throughout unit AND on balcony, electronic shades, upgraded lighting, backsplash in kitchen, custom cabinets, and brand new furnishings. Perfect vacation home or rental property, move-in ready. 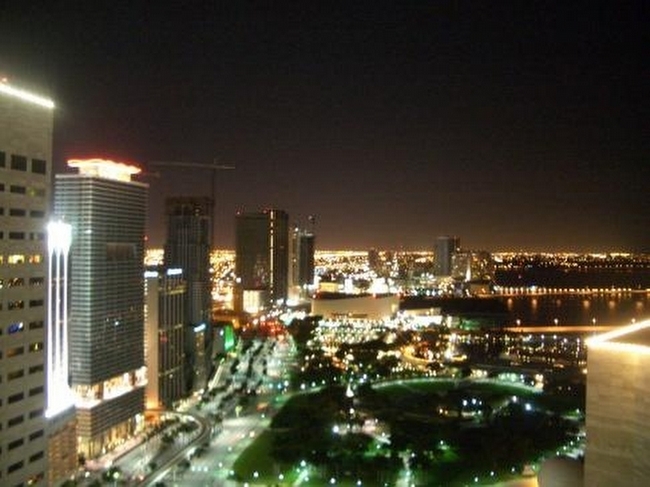 Best location in Downtown Miami, with the best views of the Biscayne Bay, Port of Miami, and South Beach skyline. Building features lap pool, cabanas, fitness center, sauna/steam room, and more. Maintenance fees have not changed in building in 6 years due to very strong financials and condo board. Walk to Whole Foods, Starbucks, Joe & the Juice, Walgreens, CVS, local cafes/restaurants, Lost Boy, Mama Tried. Metro Mover is a block away. Close to Brickell with easier I-95 access. LOVELY 2BED/2 BATH CONDO PLUS DEN IN 50 BISCAYNE. THIS CONDO OFFERS BEAUTIFUL WATER & BAY VIEWS THROUGHOUT. LOCATE IN A FULL SERVICE BUILDING WITH FITNESS CENTER, OLYMPIC SIZE POOL, DECK LOUNGE WITH CABANAS, SPA, RESIDENTS LOUNGE, AND MANY TOP RATED RESTAURANTS NEARBY. LAMINATED FLOOR IN THE ENTIRE APARTMENT!! !RENTED FOR $ 2,800 A MONTH UNTIL 3/15/2020. Unobstructed Bay and Ocean View. Direct and Wide Bay view. Renovated with Top-of-the-Line Appliances. This maginificent unit has a a split Floor Plan with BONUS area that can be used as a Formal Dining Room ... Private Den ... or as a 3rd Bedroom!! Enormous Balcony stretching the width of the Unit ... enjoy Breakfast watching the Sunrise or a late afternoon aperitif ... plenty of room ... Top Class Building Amenities include full Gym, Spa, Sauna, Party Room, and relaxing pool area with Olympic sized Heated Pool ... wonderful views from pool area. FANTASTIC VIEW ON THE OCEAN AND MIAMI BEACH.ACROSS BAY SIDE PARK,TWO BEDROOM/TWO BATH WITH DEN; FURNISHED OR UNFURNISHED UNIT . MUST SEE. OWNER MOTIVATED,PLEASE PUT AN OFFER. LANDLORD CA CONSIDER AN EXCHANGE WITH A PROPERTY IN CARACAS,VENEZUELA.PLEASE CONTACT THE BROKER TO HAVE MORE INFORMATION. BREATH TAKEN BAY VIEWS FROM THIS SPECTACULAR 2 BEDROOMS 2 BATHS UNIT + DEN, LOCATED IN THE MOST DESIRABLE AREA IN MIAMI. AMENITIES INCLUDE:STATE OF THE ART GYM, SPA WITH STEAM ROOM, SAUNA, RELAXATION ROOM, POOL, JACUZZI, CLUB ROOM. EXCELLENT LOCATION, ACROSS FROM BAYSIDE, WALKING DISTANCE TO THE AA ARENA, ARSHT CENTER FOR THE PERFORMING ARTS, BRICKELL CITY CENTER MALL, 10 MINUTES TO SOUTH BEACH, CLOSE TO THE AIRPORT. EASY TO SHOW. CALL OR TEXT LISTING AGENT FOR SHOWINGS. Great location. In the heart of Miami action. Walking distance from American Airlines Arena. Unobstructed view. Location, location, location walking distance to AAA Arena, James L. Knight Center, George Perez Museum,restaurants and bars all along Biscayne Blvd Avenue. First Class amenities include an Olympic-size heated pool , spa, fitness center, Pilates room, formal and informal party room, 24 hours concierge and comfortable valet parking. Sales office located in the building. Just listed for sale at 50 Biscayne , New flooring Great investment for Buyer looking for tenant occupied unit, A must see , Turn Key ready for sale, Enjoy the luxuries of 50 Biscayne Blvd , large pool, fitness room, sauna steam , walking distance to all the shops and areas of bayside and brickell. Call today for instructions to show , Notice is required. Welcome Buyers!! 44st floor!! 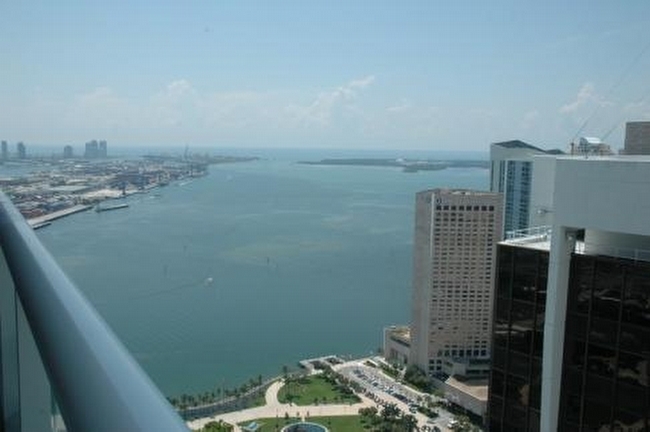 SW corner 2/2 with wrap around balcony with amazing water views and Miami Skyline!. Excellent unit! The building itself has great amenities, including: a complete modern gym, steam & dry saunas, spa treatment rooms, a magnificent pool, hot tub. Valet Parking, 24 hours security, walking distance to Bayside, American AirLines Arena, Brickell City Centre and much more. BEAUTIFUL AND SPACIOUS 2 BEDROOMS 2 BATHS !! HUGE WRAP AROUND OPEN BALCONY ( OVER 358 S.F.) WITH AMAZING VIEWS OF CITY, PORT OF MIAMI, CITY LIGHTS AND BEAUTIFUL 50 BISCAYNE POOL AREA. GREAT SPLIT PLAN FLOOR PLAN, MODERN 24 X 24 TOP OF THE LINE PORCELAIN FLOORS. GREAT LOCATION STEPS TO RESTAURANTS, BAYSIDE, SHOPPING, AA ARENA ACROSS THE STREET FROM BAYFRONT PARK. MUST SEE !! Motivated and Priced to sell, this Move In Ready, High Floor, SW Corner 2/2 with Views has it all! Large split floor plan with wrap around balconies and balcony entrance from every room! Finishes include Modern cabinetry, stainless appliances, marble flooring in main living areas and baths, porcelain bedrooms, custom closet built-ins, stand up glass showers in both baths, and large soaker tub in master bath. Full service building offers front desk attendant, state of the art fitness center, resort style pool, sauna, steam and massage rooms with pool deck overlooking Biscayne Bay and the Port of Miami. True Miami living centrally located in the heart of Downtown. Come check it out! SPECTACULAR 2 BEDROOMS 2 BATHS CORNER UNIT. HUGE WRAP AROUND BALCONY WITH AMAZING VIEWS OF THE BAY AND THE CITY. AMENITIES INCLUDE:STATE OF THE ART GYM, SPA WITH STEAM ROOM, SAUNA, RELAXATION ROOM, POOL, JACUZZI, CLUB ROOM. EXCELLENT LOCATION, ACROSS FROM BAYSIDE, WALKING DISTANCE TO THE AA ARENA, ARSHT CENTER FOR THE PERFORMING ARTS, BRICKELL CITY CENTER MALL, 10 MINUTES TO SOUTH BEACH, CLOSE TO THE AIRPORT. EASY TO SHOW. CALL OR TEXT LISTING AGENT FOR SHOWINGS. Miami Condo with spectacular unobstructed Bay and Ocean views. Water views from every room overlooking 55 acre Bayfront Park and complete wrap around balcony. 3 Large Bedrooms, 2 Bath, 1789 sq ft. Unit, Magnificent 3 story lobby, Building amenities include 24 hour Concierge and security services, 24 hour Valet parking, high speed elevators, 10th Floor Urban Oasis with infinity Pool Cabanas, snack bar, club room with billards and wet bar, 2 level club and fitness room and meditation rooms overlooking the bay. Perfect move-in ready 3 Bedroom Lower PH Level Corner Unit in the best line at 50 Biscayne.Unsurpassed views of the ocean, port of Miami, Bayfront Park and Miami Beach Skyline. Spacious and open floorplan with wraparound balcony. State of the art amenities include infinity pool, cabanas, BBQ grills, hot spa, fitness center, steam room, and dry sauna. Walking distance to the best dining, shopping and entertainment. Near major expressways. Maintenance includes water, basic cable & internet, trash and 24-hour conciergeRare find - Priced to sell. Enjoy amazing unobstructed views over Biscayne Bay from your expansive Wrap-Around Balcony (non-reflective-no slip white outdoor tiles). Spacious 1,789 SF, 3BD/2BA Corner Unit features a Fully Remodeled Kitchen (Bosch Appliances), Recessed Lighting, Floor-to-Ceiling Windows and 24x24 Porcelain Tiles throughout. Master Bedroom has 2 Custom Built-in Closets. Master Bath has 2 sinks & separate Shower/Jacuzzi Tub. European high quality washer & dryer. Building offers Full Resort Style Amenities: Pool, Cabanas, Sauna, Steam Room, Spa, Pilates & Yoga Rooms and Fitness Center. PRICE TO SELL - Owner motivated ! Stunning and remodeled apartment 3 beds / 2 baths with breathtaking direct bay and ocean views. Large living room with wraparound balcony offers views of Biscayne bay, Miami Beach, sunrise and sunset. Located in the BOOMING area of Miami Downtown, walking distance to Bayfront Park, Bayside, museums, AA Arena, Wholefood and 10 minutes from the airport and the beach. Functional split floor plan, open kitchen with SS appliances. Luxury amenities include : SPA, Gym, Inviting Pool, Outdoor Observation Lounge. EXCELLENT FLOOR PLAN HUGE BALCONY, ONE OF THE MOST BEAUTIFUL VIEWS OF OCEAN INTRACOASTAL PORT OF MIAMI BEACH, 50 Biscayne amenities include: 24-hour concierge and security, 24-hour valet parking, state-of-the-art fitness center, sauna and steam rooms, formal and informal club rooms, yoga/Pilates room, and resort-style pool with poolside cabanas. 50 Biscayne is a pet-friendly condo development for both owners and renters. It is walking distance to the Shops at Bayside, the American Airlines Arena and various Downtown Miami restaurants including Zuma and Novikov Miami. Prime location, sought after building. Unit in mint condition, 3 bedroom, 2 bath but 3rd room can be easily be put back into a large den. Upgrades of over $30,000 include: laminate floors, custom lighting, remote control solar blinds, all new doors, closets, ceiling fans in all bedrooms, granite kitchen with stainless steel appliances. Direct views of Biscayne Bay/Park and Port of Miami extending to Miami Beach & Atlantic Ocean. Full service building with fitness center, spa and gorgeous pool areas. Investor Opportunity! 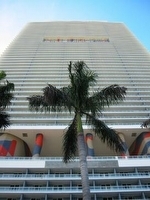 Bulk Deal for Sale 4 Studios all on High Floors at 50 Biscayne with 5% CAP Rate. All Studios are Tenant Occupied, Great Opportunity. 24-48Hr Notice for showings. Call or email LA for Details. Park Suites at 50 Biscayne are a selected group of residence that are fully furnished and elegantly finished. Have your client enjoy this unbeatable location, unobstructed park and water views and fabulous amenities including: spa/fitness center overlooking the bay, pool deck with infinity edge pool, billiards, assigned parking and high-speed elevators. Basic cable and internet included in the rent. Amazing fully furnished park suite with great water views in the Biscayne Blvd Downtown area. Unit has a Den that can be used as an office or an extra room, 925 sq ft, plus wrap around balcony looking towards Biscayne Bay. Long term rentals only. Beautifully fully furnished 1bed/1bath is ready for rent. This unit has an amazing view of downtown Miami from anywhere in the unit. Walking distance from everything Downtown Miami offers such as shopping boutiques, restaurants, cafes, entertainment shows & parks (Bayfront Park & Bayside). Theres something for everyone to enjoy. The building offers five-star amenities with access to the pool, gym & spa club. This unit wont last, dont wait. 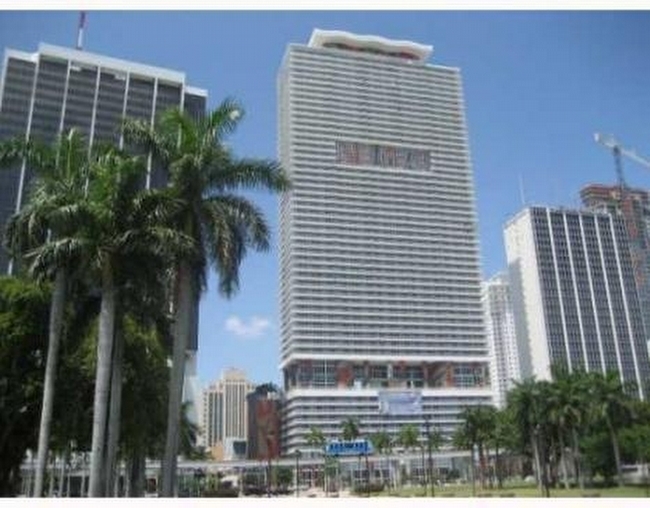 Spacious 1 BR/1 BA with den area in luxury Downtown Miami high rise in walking distance to shops, restaurants and public transportation. West-facing sunset views. Landmark building featuring amazing amenities such as spa, gym, party room, steam room, sauna, spa and more.The apartment has porcelain floor, modern Kitchen, walk in closet and great city view. Pets OK. SPECTACULAR 2 BEDROOM APARTMENT WITH LARGE DEN. 2 FULL MODERN BATHROOMS. ITALIAN KITCHEN AND APPLIANCES. WORLD CLASS AMENITIES. DIRECT VIEWS OF THE BAY, MIAMI BEACH & MIAMI SKYLINE. FULLY UPGRADED WITH NEW GREAT PORCELAIN FLOORS IN THE ENTIRE UNIT, SPACIOUS FLOOR PLAN & OPEN LAYOUT. LOCATED IN THE MIAMI BUSINESS CENTER. GREAT AMENITIES INCLUDE HEATED POOL, STATE OF THE ARTS SPA, PRIVATE FITNESS ROOM, 24 HOURS SECURITY, AND MUCH MORE. CLOSE TO RESTAURANTS, SHOPPING MALLS & MINUTES AWAY FROM BRICKELL CITY CENTER, CORAL GABLES, AND MIAMI BEACH. EXCELLENT FLOOR PLAN HUGE BALCONY, ONE OF THE MOST BEAUTIFUL VIEWS OF OCEAN INTRA COASTAL PORT OF MIAMI BEACH. 50 Biscayne amenities include 24 hour concierge and security, 24 hour valet parking, state of the art fitness center, sauna and stead rooms, formal and informal club rooms, yoga/Pilates room and resort style pool with pool side cabanas. 50 Biscayne is a pet friendly condo development for both owners and renter. It's at walking distance to the shops at Bayside, the American Airlines Arena and various Downtown Miami Restaurants also at a short distance from Brickell City Center. Incredible opportunity 2 bedroom 2 bath & Large Den with stunning open views to the Bay and the Ocean ! Resort style amenities ! Fitness center ,pilates ,yaga room ,spa room with stean room sauna and massage room huge pool deck featuring cabanas outdoor kitchen area jacuzzi ; 2 Large party room available event .central Downtown Miami location ,walking distance to shops restaurants, Whole food , AA Arena Art & Science museums and more . Never lived in 2 bed + Den/ 2 bath unit in one of Downtown's most desired buildings. Den can be easily converted to a 3rd bedroom, if needed. Kitchen features granite countertops and stainless steel appliances, also washer/dryer. This unit is in perfect c ondition. Enjoy amazing amenities, mins. away from Brickell, Coconut Grove, Design District & South Beach.OFFERS WILL BE REVIEWED & RESPONDED WITHIN 3 BUSINESS DAYS saturday & sunday are not business Days / WALKING CLOSETS BEAUTIFUL UNIT IN THIS QUIET AND GREAT , READY TO MOVE IN!! MUST SEE!! EASY TO SHOW!! USE SHOWING ASSIST!! PLEASE SEND OFFERS BY EMAIL. Great building in downtown offering full resort style amenities: Pool, Cabanas, Sauna, Steam Room, Spa, Pilates & Yoga Rooms and Fitness Center. 2 BB, 2 B plus den spacious unit. Wood laminate and ceramic floors. 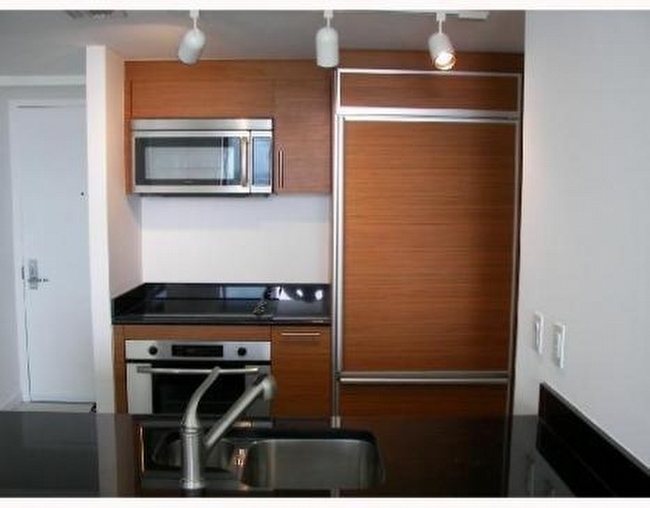 Wood cabinetry and stainless steel appliances. Assigned parking #466 plus valet parking. Unit does not have a balcony. ENJOY TERRIFIC BAY VIEWS FROM THIS HIGH LEVEL UNIT IN THE FABULOUS 50 BISCAYNE. SPACIOUS 2 BED / 2 BATH PLUS DEN. MARBLE FLOORS. MASTER BATH WITH DOUBLE VANITIES, JACUZZI TUB AND GLASS SHOWER. FLOOR TO CEILING ENERGY EFFICIENT WINDOWS, HIGH CEILINGS, PRE-WIRED SMART BUILDING WITH STATE OF THE ART AMENITIES. Great unit in the best line in the building. Breathtaking views to Downtown and the bay from your massive wrap-balcony. (584 SQFT). This corner unit has a 3 bed and 2 full bath, walking closets and tasteful upgrades throughout. Spacious floor plan with 1,789 SQFT. 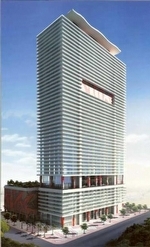 Building offers 5 star amenities: Pool, Cabanas, Sauna, Steam Room, Spa, Pilates, Yoga Rooms, and Fitness Center. MUST SEE!!! Stunning and remodeled apartment 3 beds / 2 baths with an amazing direct bay and ocean views. Wraparound balcony offers views of Biscayne bay, Miami Beach, sunrise and sunset. Walking distance to Bayfront Park, Bayside, museums, AA Arena, Wholefood and 10 minutes from the airport and the beach. Functional split floor plan, open kitchen with SS appliances. Great amenities include : SPA, Gym, Inviting Pool, Outdoor Observation Lounge. SUPER UPGRADED 3 BEDROOM FULLY FURNISHED UNIT WITH UNOBSTRUCTED DIRECT BAY/OCEAN VIEWS. ADDITIONAL UPGRADES INCLUDE UPGRADED CLOSETS, ELECTRIC BLINDS AND IMPACT WINDOWS. FULL SERVICE BUILDING OFFERS RESORT STYLE AMENITIES. HEART OF DOWNTOWN & BISCAYNE BLVD - RIGHT ACROSS FROM BAYFRONT PARK.